Have you ever wanted to go behind the scenes of TV station? Then you are going to want to join the #WMCNTv twitter party! We will be chatting about the Dawn show hosted by Dawn Stensland while the show is being broadcasted! 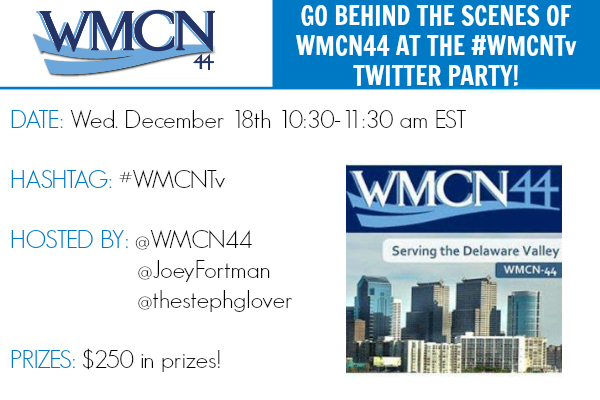 Join @WMCN44, @joeyfortman, and @TheStephGlover as we chat all about the new WMCNTv! The party will be held on Wednesday, December 18th from 10:30-11:30 am EST.